Scrip fundraising is a new method to raise money for your charity goals. Scrip (“substitute money”) is a certificate or discount card, which can be used instead of cash or given as a gift. Families are willing to buy from merchants who participate in scrip fundraising and besides this, they can use scrip for just about any kind of shopping: food, clothing, entertainment, dining out, lodging, travel, video rentals…even gasoline. It benefits merchants too since they have a good chance to get their businesses noticed and to increase their sales. How does the scrip fundraiser work? Step 1. Select one or two scrip coordinators and volunteers. The coordinators are charged with the ordering of the cards and later on with their distribution. The volunteers will help with the promoting and processing of the campaign. Step 2. Set financial goals and tracking procedures. Determine how much money you need to raise and how the profits will be used. 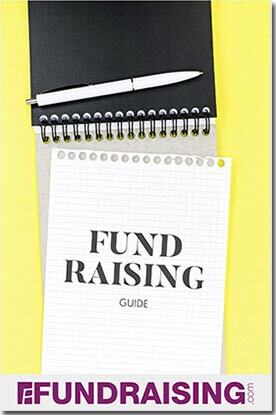 Specific fundraising goals help supporters identify with the program and get on board. Step 3. Plan your ordering and distribution process. Determine day, time and place orders need to be turned into be processed. Figure in the processing time and a day for pick up. Purchase the merchants’ gift certificate at a discounted rate. Resell the scrip back to the supporters at face value. Step 4. Maximize your profit with good communication. Organize informational meetings to explain to your volunteers the goals, the financial profit, ordering and distribution. Inform the supporters over the program’s progress and their contribution totals. Open a scrip checking account: a separate checking account for scrip allows for all deposits and withdrawals to be in one place, making it easier for balancing and security. Motivate your volunteers with creative incentives: set a selling goal and then reward them with tuition credit, a coupon for free scrip or an item that is raffled off. Plan an efficient way to ship the scrip such as placing them in envelopes in alphabetical order, or sending them to classrooms for student pick up. Expand your donors base: encourage family and friends of the donors to buy scrip and apply any proceeds to the supporter.